BENGALURU: Bangalore Metropolitan Transport Corporation (BMTC) rakes in `15 crore annually through advertisements on its buses, but doesn’t seem to mind the inconvenience caused to commuters. In most buses, advertisement plates are placed behind seats and fixed with fasteners. As the gap between the rows of seats have been reduced for increasing seating capacity, many commuters complain that often they’re left with torn clothing or bruised knees, particularly when brakes are applied. There are also complaints that advertisement contractors selected by BMTC often retain the fasteners even after advertisements are removed. BMTC though seems to be in no particular hurry to fix the issue. Many commuters took to social media to express their frustration. 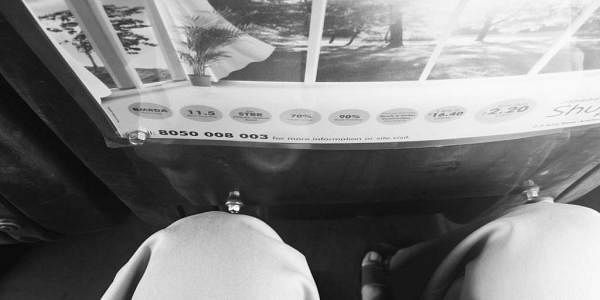 “Ads in buses at the expense of passengers comfort!. Bolt head to bruise the passenger’s knee (sic)” tweeted Veera. “BMTC buses have comparatively less leg space for passengers than services in other cities. Most of these fasteners are rusted and knees are in constant danger of getting injured. For instance, a minor injury caused to a diabetic patient takes considerable time to heal,” says K Shivakumar, a 65-year-old regular passenger. Some commuters say travelling by private vehicles or share cab services are cheaper than BMTC buses. “If they keep fares high and provides less comfort, then how do they expect people to use public transport?” asks S Shruthi, a resident of J P Nagar. When contacted, a senior BMTC official said they have not received any complaints against advertisement boards fixed behind the seats. “We will look into this issue. We will ask the vendors to remove such fasteners, if necessary”, the official added. Every day, BMTC operates 6,155 buses and carries 5.02 million passengers in 74,292 trips covering a distance of 11.72 lakh km.